Available with manual or Fuso's unique DUONIC automated manual transmission, this dynamic range features ute-style comfort and driveability with the extra muscle required for heavier lifting. With options you can drive on a regular car licence, off-road capability and crew cab models, right up to the biggest, most powerful Canter in our line-up, this crew will get the job done. Low tare weight allows for bigger payloads (at a given GVM). 30,000km service intervals reducing maintenance costs. 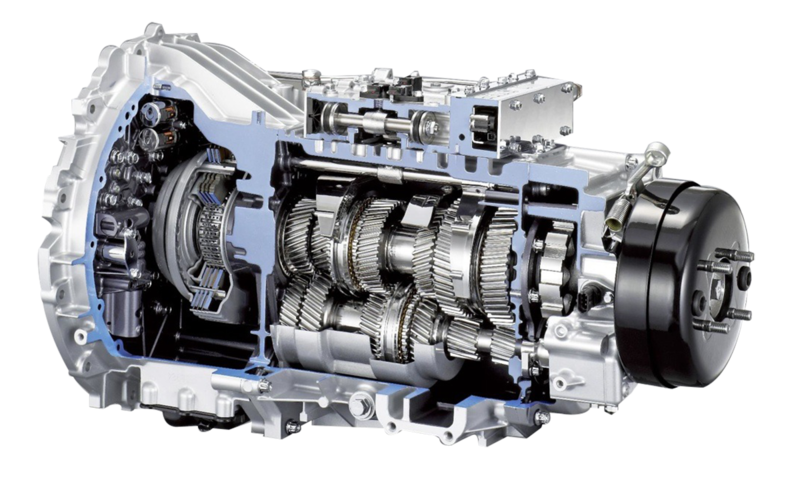 Unique DUONIC dual clutch transmission for ease of driving and improved fuel consumption. 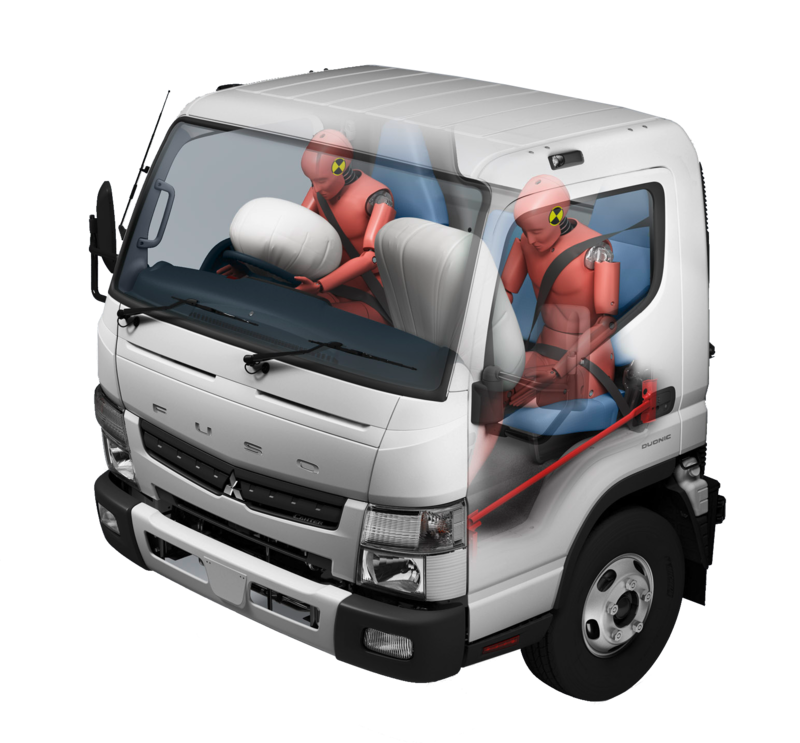 Driver's airbag on all models and passenger airbag on selected models. Reinforced cab meets European (ECE-R29) standards. Suspended driver’s seat with folding arm rest, lumber support and weight adjustment (wide cab models). Narrow cab improves access and manoeuvrability in tight locations. Independent front suspension and rack-and-pinion steering for superior handling and stability. Can be driven on a passenger car licence. Class-leading tare weight for payload advantage. Roomy full width cabin with three-seat capacity (including driver). Front and rear dual calliper disc brakes for increased braking performance and stability. Roomy full-width cabin with three-seat capacity (including driver). Can be driven on a passenger car license. Front and rear dual calliper brakes for increased braking performance and stability. 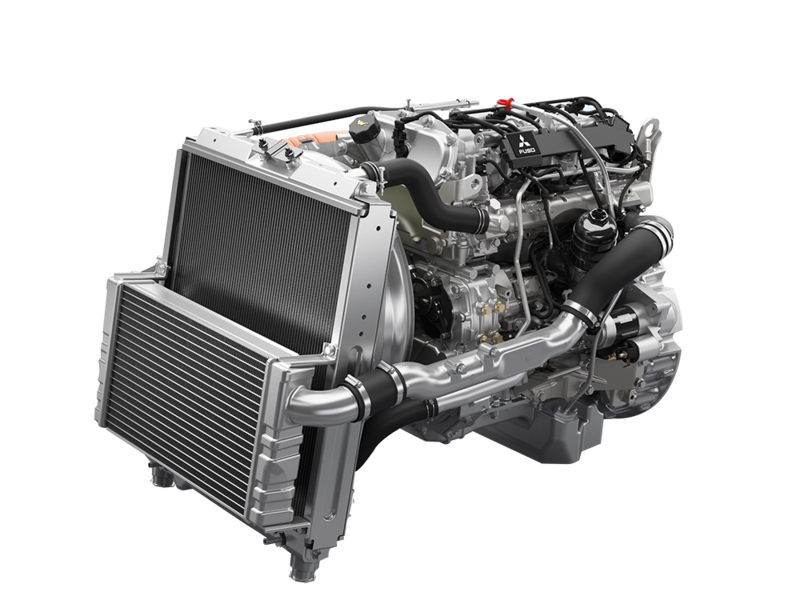 Highest horsepower (129kW), GVM/GCM and class leading tare weight. Wide 850mm chassis provides improved stability. Front and rear dual calliper disc brakes for increased braking performance. Highest horsepower (129kW), GVM/GCM and longest wheelbase available in the Canter range. Idle Stop/Start maximises fuel efficiency and reduces emissions. Electric motor provides additional engine support on demand and outputs a massive 220Nm of instant torque. Digital dash mounted display shows battery charge level as well as electric motor status (charge/assist). Disc brakes for improved safety and handling. Only truck in its class to feature a limited slip diff. Mirrors can fold in improving access to tight spaces. New larger 2.4m3 tipping body. Narrow cab allows for greater access and increased manoeuvrability in tight locations. Driver and far passenger airbags. Driver and outside passenger airbags.